Gear makers often use January's NAMM convention to announce all the new instruments, effects, and recording equipment they'll be releasing in the coming year. And come March, we start to see the realization of their ambitions, with a bounty of new models and products hitting the retail market. Some of the items below are available for pre-order, and can arrive right at your door on their official release date. Others will be available for sale in the coming weeks. And others yet are becoming available now, as you're reading this sentence. Fans of the strange, alluring designs of Fender's Parallel Universe series may be similarly smitten with Fender's Alternate Reality line. Unlike its predecessor, the new line will be made in Mexico, meaning each guitar will be more affordable than a similar instrument made in the USA. The five models will be released throughout the year. First up is Fender's Alternate Reality Powercaster, which is available for pre-order now through many dealers on Reverb, with an expected ship date in the first weeks of March. Coming in either seafoam green, three-color sunburst, or white opal finish, the Powercaster features a Jazzmaster-style body with a swooping pickguard, a humbucker in the bridge position, and a soapbar pickup at the neck. Fender, it can be said, has had a bit of a busy year. Another huge release announced at NAMM (in addition the Alternate Reality, the Rarities series, and a host of signature models including the Jimmy Page Telecasters) was the Acoustasonic Telecaster. 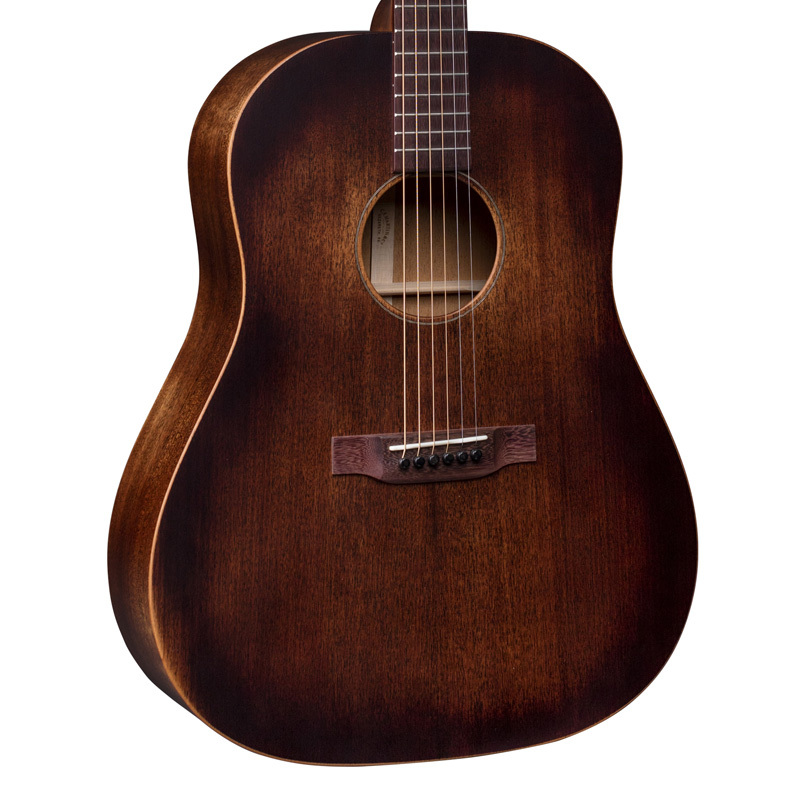 The new acoustic-electric hybrid uses a combination of natural resonance, digital modeling, and pickups to offer the sound of 10 guitars in one, from a dreadnought to an amped-up Tele. Its versatile nature makes it ideal for gigging musicians or studio players. Available in five different finishes, the demand has already been strong. They're available for pre-order now, with some dealers on Reverb advertising a ship date in mid-March and others not until mid-April. 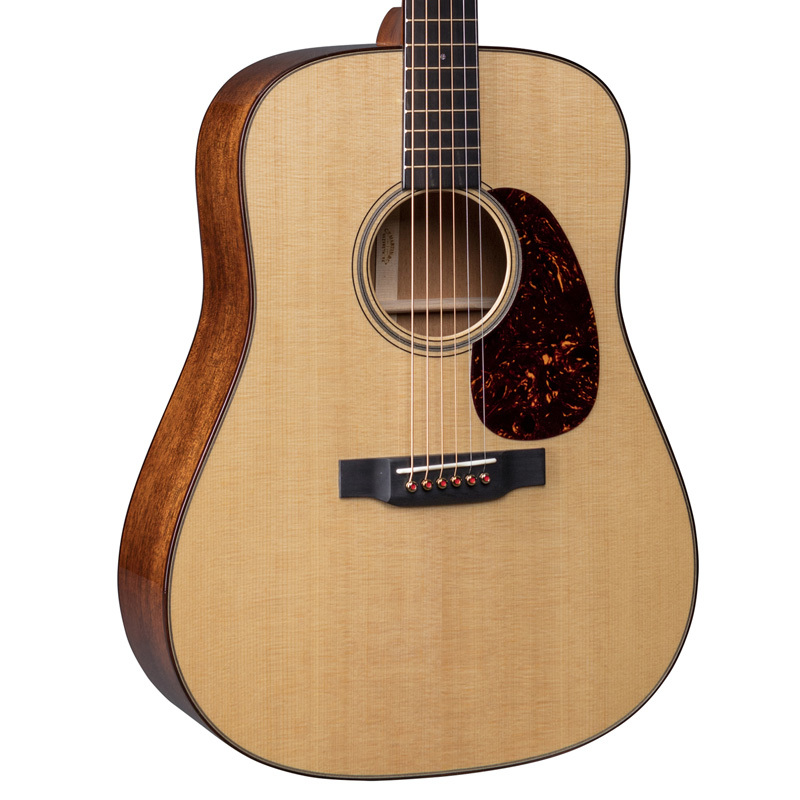 In January, Martin also announced a host of new guitars, with a range of high-end and more affordable models. Most will be arriving sometime this month, while a few have already been released. The brand-new Modern Deluxe series has four guitars in total—the D-18, D-28, OM-28, and 000-28—all expected to ship in mid-March. 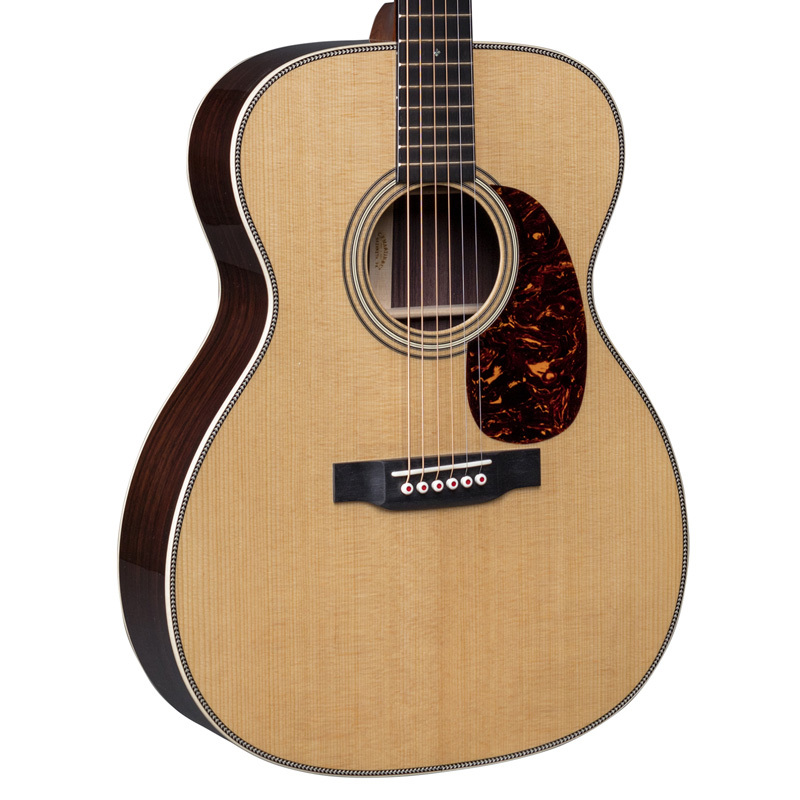 The high-end acoustics include vintage-style appointments and classic tonewoods with some modern improvements, like titanium truss rods. Martin's new slope-shouldered models—the DSS-15M Street Master, DSS-17 Black Smoke, and DSS-17 Whiskey Sunset—are much more affordable. A few dealers on Reverb already have inventory for each, with more expected to come throughout March. One of our most enlightening discussions at NAMM was our talk with Carlos Santana about his new PRS SE Santana Singlecut Trem. 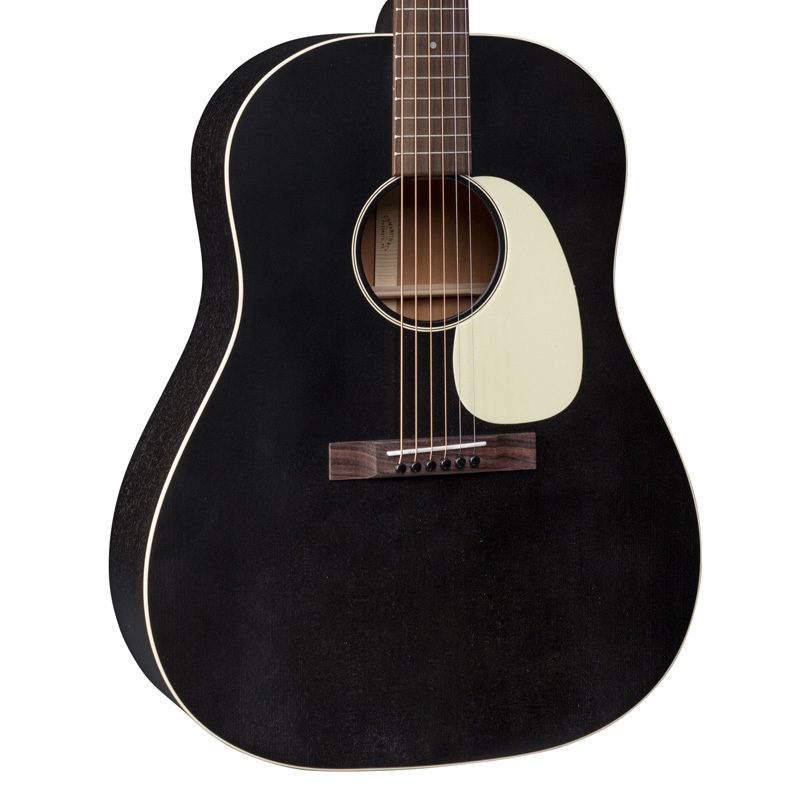 Modeled after a custom instrument he's long used on stage, this SE model is well within the reach of new players. This commitment to giving students and beginners a worthwhile instrument animated Santana's conversation with Reverb's Joe Shadid. How else, it was asked, are we going to build the guitar army our world so desperately needs if we don't give them solid, wonderfully playing student models? Luckily for our budding soldiers, the SE Santana Singlecut Trem will start shipping March 1. 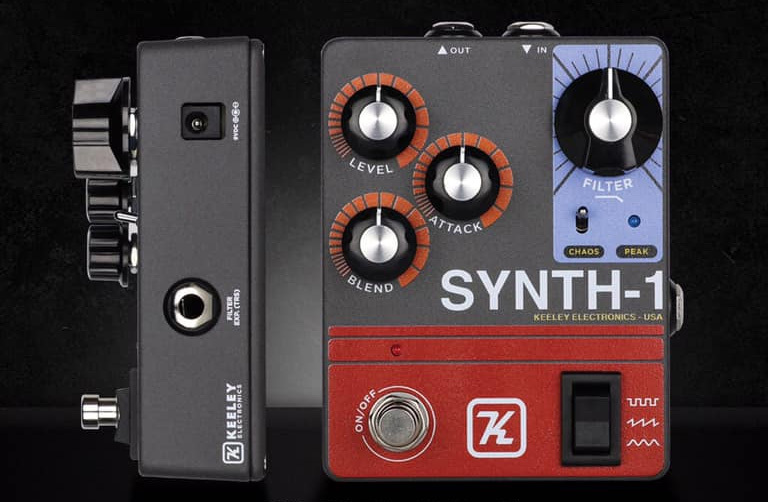 The amount of pedal builders looking to bring the tonal versatility of synthesizers onto your pedalboard is already an observable trend this year, and one of the coolest examples we saw at NAMM was Keeley's Synth-1 Reverse Attack Fuzz Wave Generator. 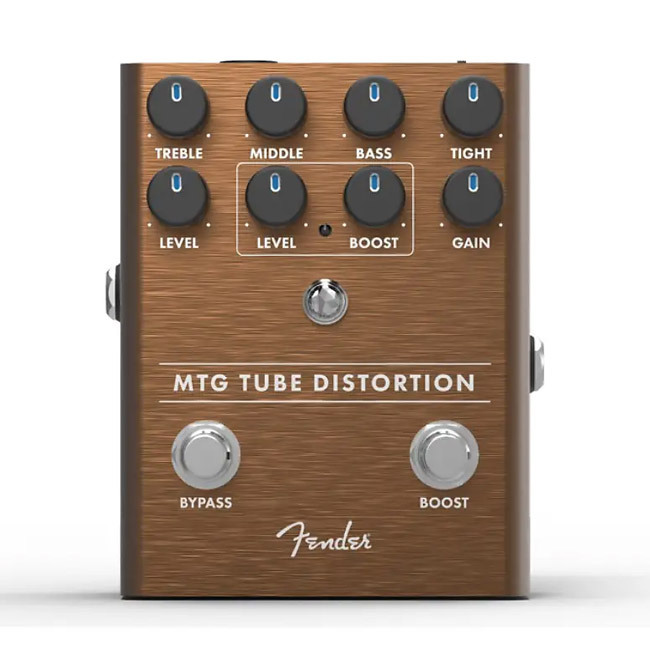 The pedal starts by twisting your tone backwards, but then mangles that reverse volume swell sound via its waveform generator. You can choose to add square waves, triangle, or sine waves to your signal signal and further tweak the tone through the on-board Filter, as well as Attack, Level, and Blend knobs. If you attach an expression pedal, you can do you Filter sweeps on the fly. The Synth-1 will ship on March 14. ThorpyFX is continuing its commitment to high-quality boutique builds with the Deep Oggin Analog Chorus/Vibrato. The fully analog modulation pedal allows you to explore the depths of its watery tones and textures—from subtle shimmery chorus to vibrato intense enough to give you the bends. The helmeted diver on the chassis seems an apt logo. It features controls for Depth, Rate, Treble, Volume, and Blend and contains two outputs for true stereo spread. By using the Blend knob in coordination with the stereo outputs, you can dial in the perfect amount of warble and unaffected tones. 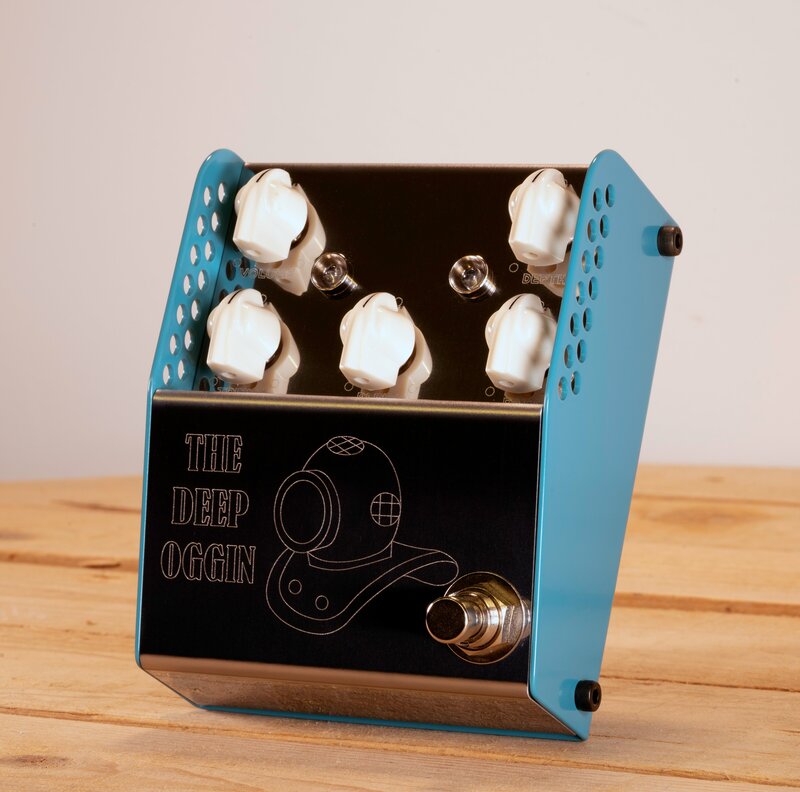 The Deep Oggin will begin shipping March 1. 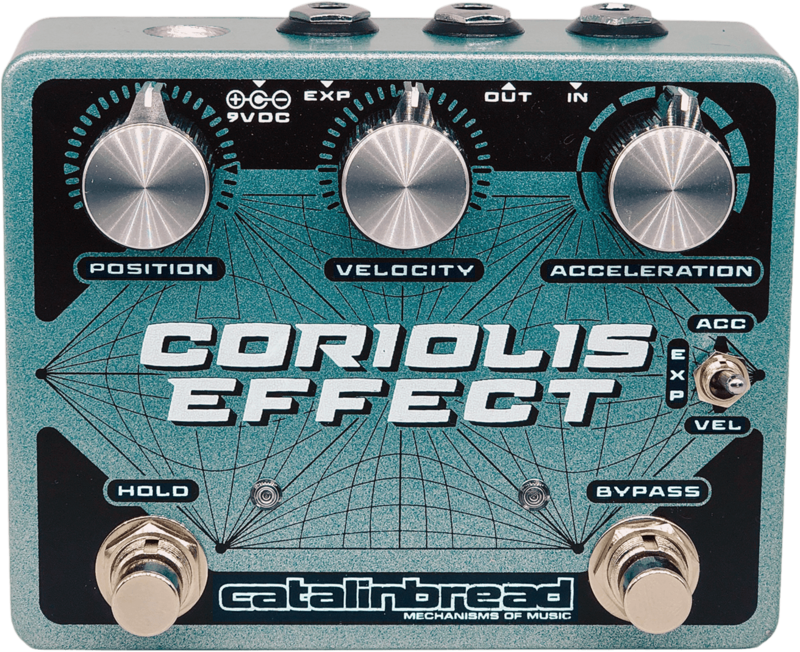 Back on the NAMM convention floor, Andy Martin marked the Catalinbread Coriolis Effect (along with the Deep Oggin) as one of his Top 7 new pedals revealed at the show. The Coriolis offers wah sweeps, stuttering effects, freeze functions, and more. In all, it has three different parameters by which it can twist your sound—from subtle pinched tones to edge-of-a-blackhole warping. Controllable via an expression pedal, this is the type of effect that can be explored for hours. It starts shipping at the end of the month, so add it to your Feed to be notified once it's up for sale or pre-order yours today through any number of dealers on Reverb. During Slayer's farewell tour—which is continuing through this year and into 2020—Gary Holt has made heavy use of a pedal custom-built for him by Kirk Hammett's KHDK Electronics. He says he has kept the Paranormal Parametric EQ and Overdrive as an always-on pedal in his rig, helping shape and drive the tone from his Marshall amp. Holt began playing with Slayer in 2013 and has been the driving force of Exodus since 1981. As a bit of trivia for those who don't know, Hammett was also a member of Exodus before leaving in 1983 to join Metallica. 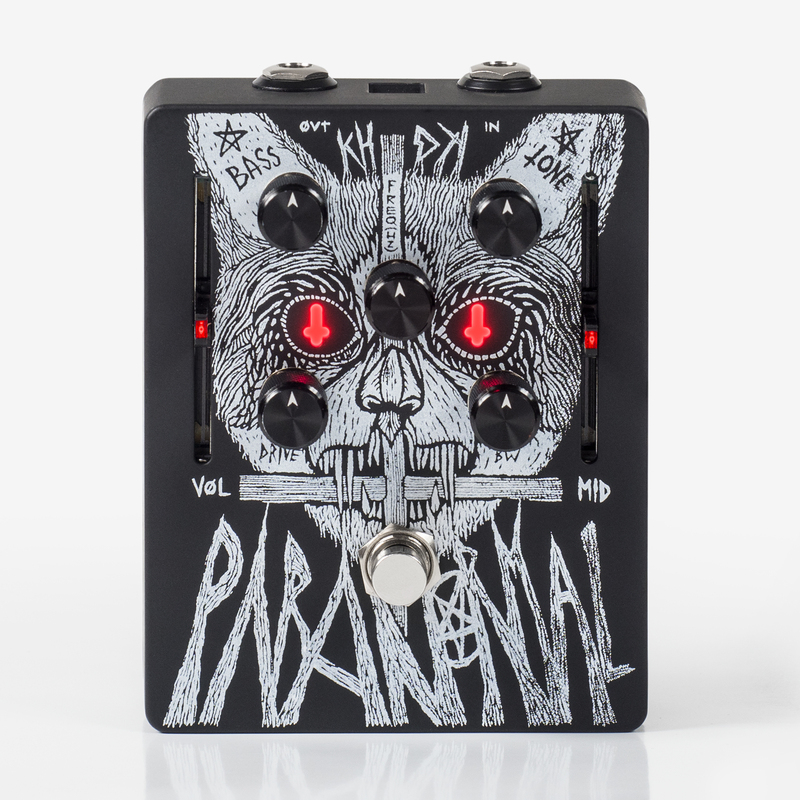 Now, KHDK is releasing a limited run of 250 Gary Holt Signature Paranormals exclusively through Reverb. 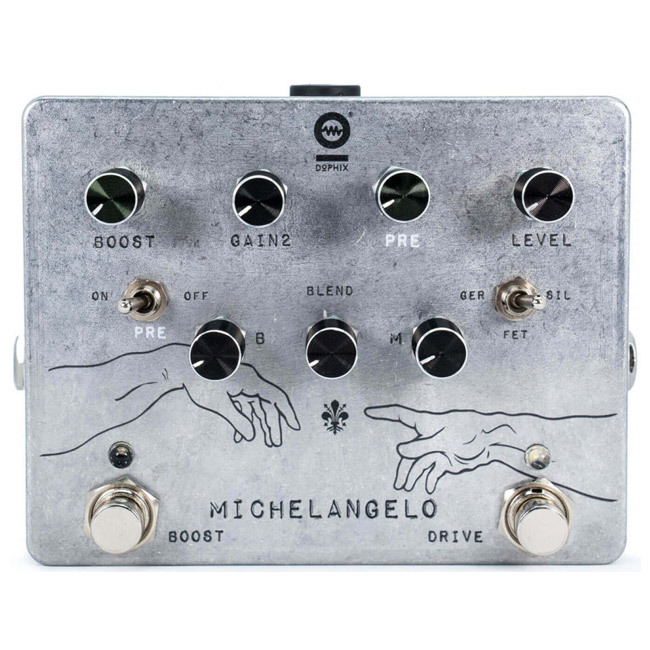 You can pre-order the pedal now, with an expected ship date of March 29. 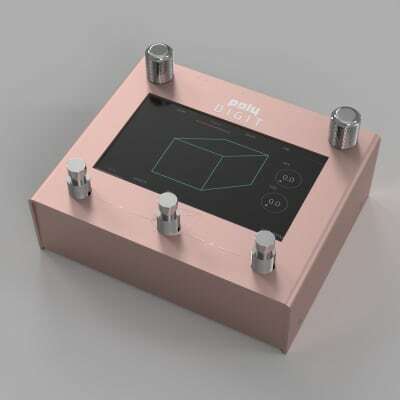 The Poly Digit is a powerful multi-effect unit and mixer that lets you effect and manipulate your tone in myriad ways. The quad delay, reverb, mixer, and cab simulator features a touchscreen interface that lets you control the effects and—via the mixer—to employ different effects to manipulate others. While you can route the Digit's own effects into the others, its mixer can also handle up to three external effects as well. 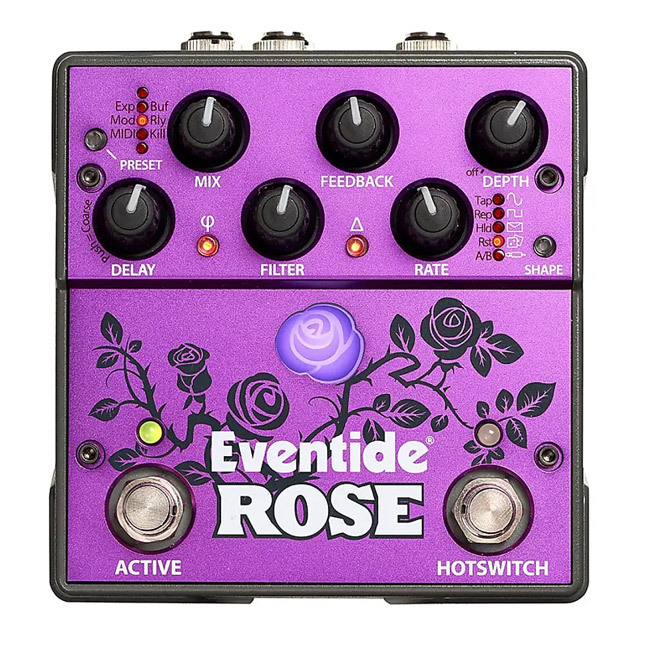 This means you can use a favorite pedal from your board to coincide with one of the Digit's delays, another to trigger your reverb, or other combinations. Additionally, onboard filters, envelope, LFO, EQ, compressor, sequencer, and more—along with the Digit's USB and MIDI connectivity—means there's no end to exploring what this pedal can do. 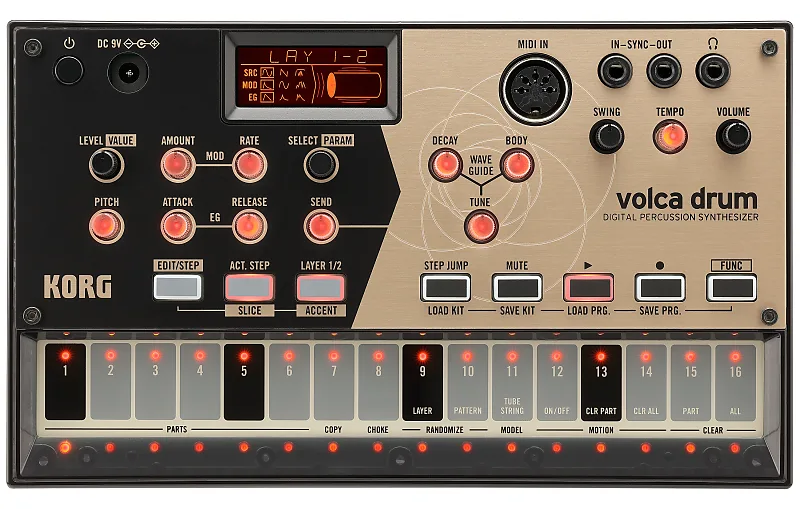 The Korg Volca series of affordable, diminutive synths have been some of the best-selling new synthesizers to hit Reverb for the past several years. While earlier Volca releases have offered a range of models—an FM synth, drum machine, and sampler among them—Korg had yet to enter the modular fray. The Korg Volca Modular, expected to start shipping March 1, packs eight miniature modules into a compact unit. 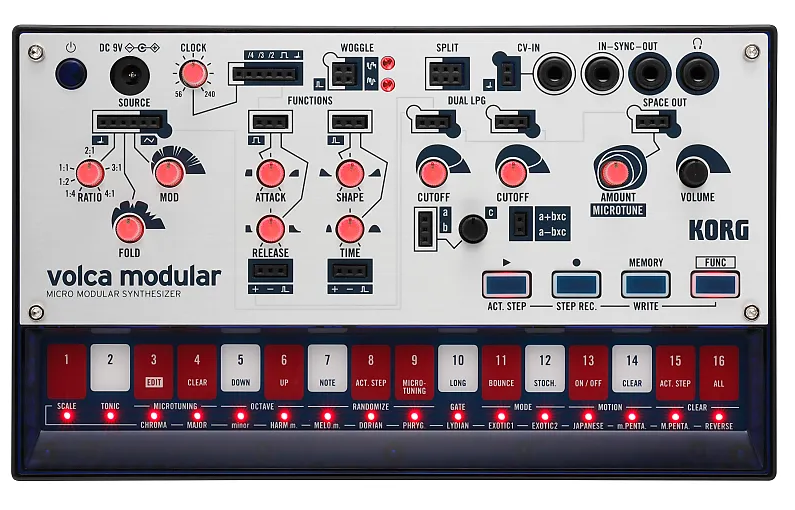 It's like a shrunken Buchla, with pre-wired, semi-modular playability and enough malleability for users to connect and reconnect wires to create their own unique patches. The Volca Modular was announced alongside the Volca Drum Digital Percussion Synth and the Minilogue HD—both of which will also be available later in March. Click any link to learn more, pre-order, or add these new Korg releases to your Feed. 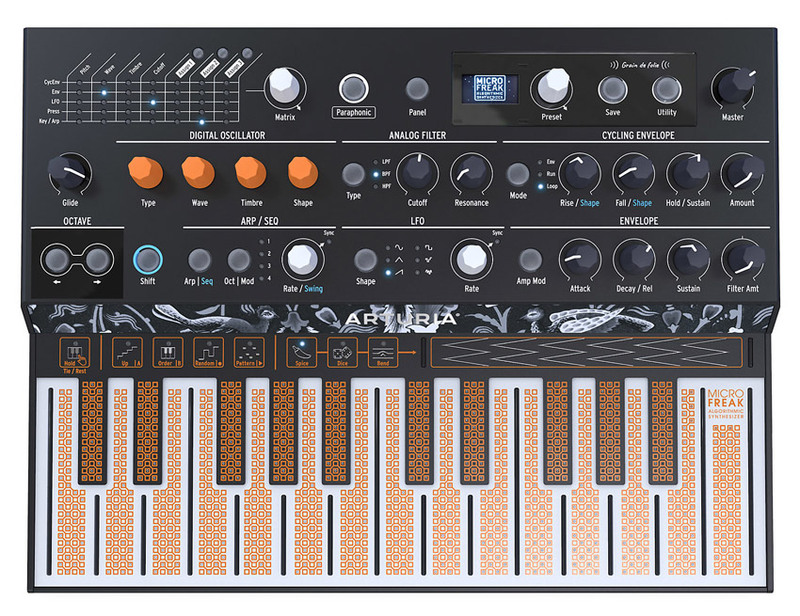 In keeping in line with the product name, the rollout for the Arturia MicroFreak—a new, versatile synth announced by the French hardware and music software company in January—has been a little chaotic. Some dealers are expected a shipping date in the middle of March, while others are estimating April 1. Either way, it will be available for purchase very soon, and is available for pre-order now. Arturia is by turns calling it a "hybrid" and an "experimental" synthesizer—and for good reason. 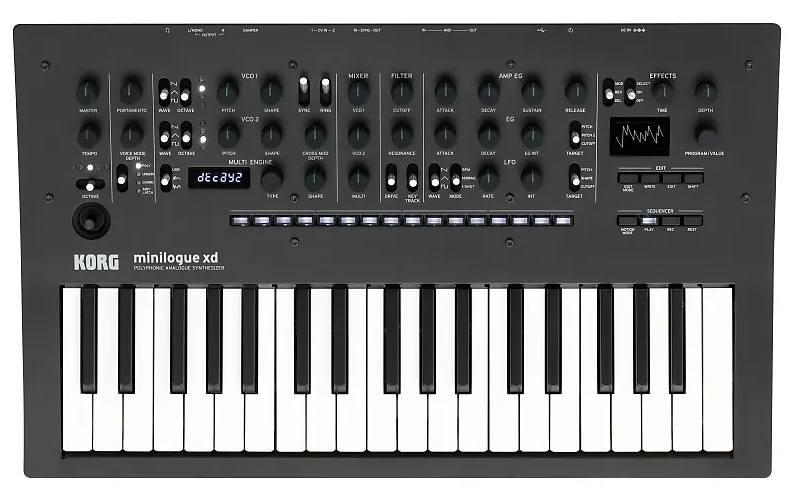 Its digital oscillator offers 11 different modes of synthesis, including wavetable. It also includes a modulation matrix, touch-sensitive keyboard with poly-aftertouch, and a 64-step sequencer. Warm Audio is one of the leading companies for affordable, high-quality recording gear. 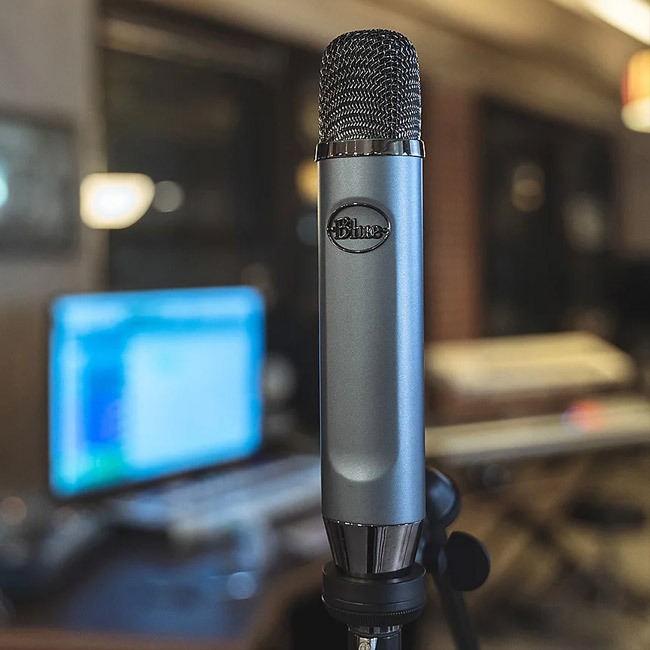 To add to its growing lineup of condenser microphones, the company announced the WA-84 small diaphragm condenser in January. Based off of classic a Neumann model, these pencil condensers attempt to bring the pristine sound and character of the ever-popular vintage units to a price attainable for project studios and home recordists. 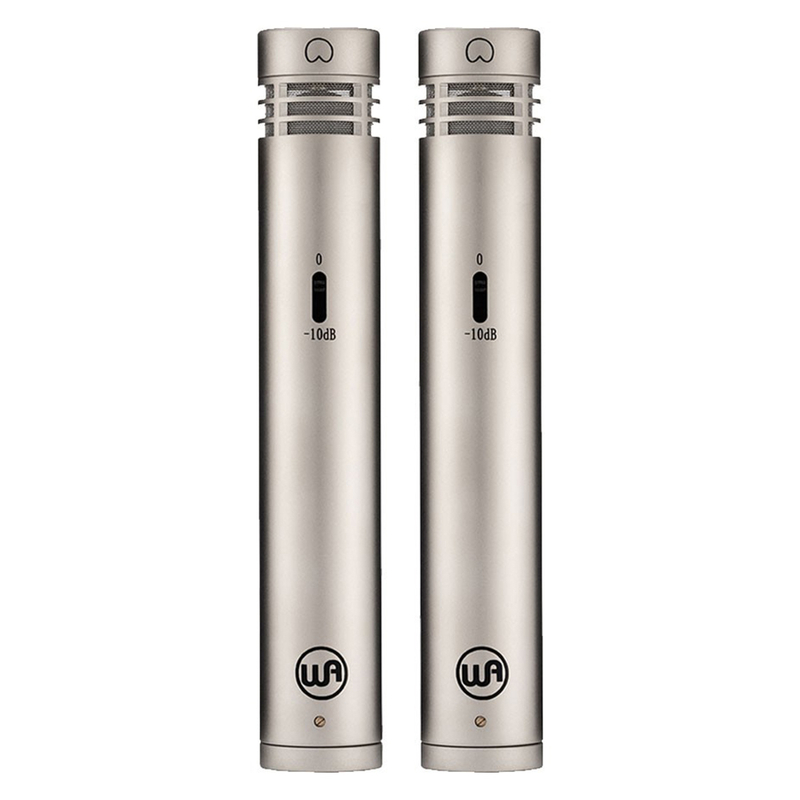 The WA-84 will be available as a single mic or stereo pair. Featuring an all-discrete Class A design, it features a -10dB pad switch for recording louder instruments, and includes a windscreen, shock-mount, and hard case. They will start shipping March 1. The WA-251 large diaphragm tube condenser, another new mic that was announced at the beginning of the year, is already available on Reverb. 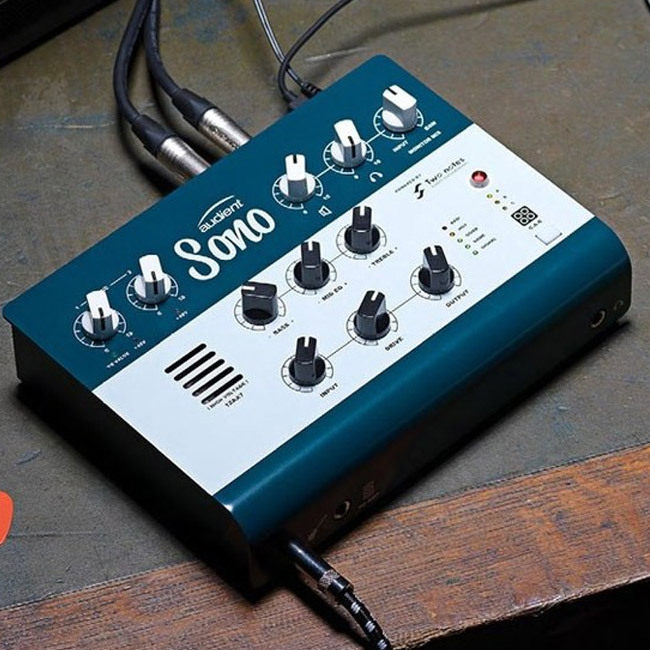 In January, PreSonus announced a major expansion of its Studio line of affordable audio interfaces. While USB 2.0 models have been available for some time, they unveiled five brand-new USB-C interfaces, which feature a range of I/O options and promise quick connectivity. Each has a 192kHz sample rate. Some of these new models are already available, with more expected to be available throughout the month. The Studio 24c, which has yet to arrive on Reverb, is a two-channel interface made with the bedroom recordist in mind. The Studio 26c, which is available now, adds two more line-level inputs. The Studio 68c is the middle model, still more appropriate for solo or small group recording projects, but featuring four preamp-equipped inputs and two additional digital inputs via S/PDIF. The Studio 1810c and Studio 1824c, however, are more apt for full bands or project studios. 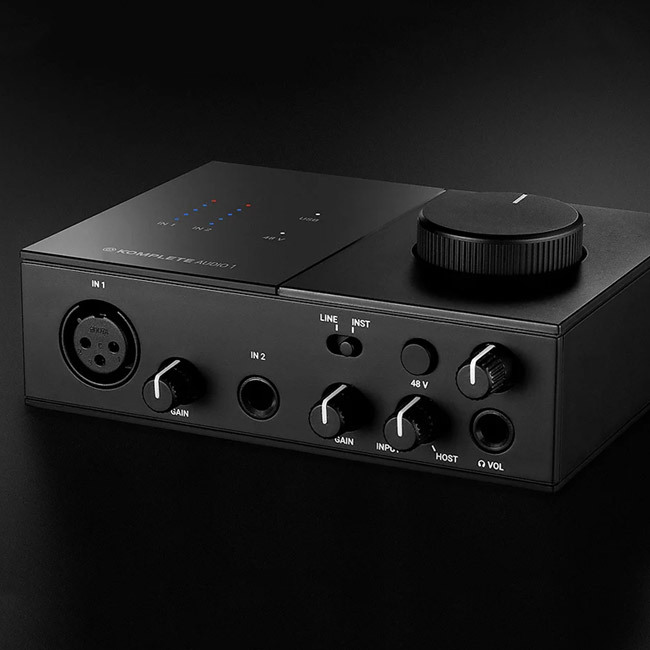 The 1810c has four preamp-equipped inputs, four additional line inputs, as well as an ADAT optical port to easily connect with secondary preamps. The 1824c is similarly versatile, but has eight preamp-equipped analog inputs as opposed to only four.